The FeatherLite™ First Aid Kit 3.0 contains an assortment of first aid supplies needed to treat a variety of minor injuries. The outer case is constructed of durable, lightweight nylon cloth that is bright red to make it easy to locate. 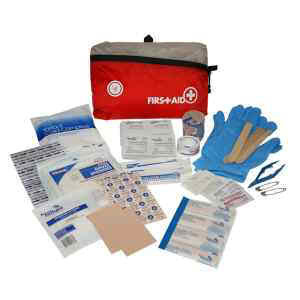 A detailed First Aid Kit Owner’s Guide is also included with basic first aid instructions.